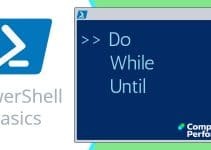 Remoting is the biggest single improvement to Windows PowerShell v 2.0. 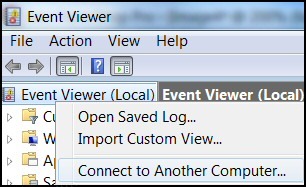 Here on this page we will see how it’s possible to apply the -ComputerName parameter to eventlog files, and thus view errors on a network computer. My learning progression is to get a basic example working on the local machine and then adapt the script to interrogate a remote computer. Here is a modification of Example 1 which makes the script ready-to-run on a remote computer. Note 1: Please change "OtherMachine" to a computer name on your network. Note 2: Microsoft have added remoting capabilities to PowerShell v2.0, which you access via the -ComputerName parameter. Troubleshooting Remoting: If the script works on your local machine, but not the network computer, see how to troubleshoot. PowerShell’s Get-Eventlog is tricky to operate. What makes it easier is focussing on the parameters, especially -Logname and for remoting, -ComputerName. 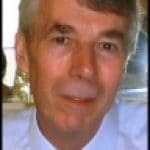 Once you get the basics working there is a wealth of techniques and properties you can apply to this most versatile cmdlet. Scenario: You need to investigate a particular EventID. Important: Amend my value of -lt ‘100’ to -eq ‘YourNumber’. Do remember the speech marks. Optional: Change "LocalHost" to "YourNetworkMachine"
Note 3: Please change -lt to -eq, and ‘100’ to the EventID you are researching. Note 4: The above script is ready for remoting, just change the value of $Machine variable. Note 5: You can run the first 3 commands from within PowerShell. One benefit of choosing this WMI class is that you can use the -Credential parameter. Note 6: You are amassing clues about what's working and what's not. In desperation I would create a remote session, and then run the Get-Eventlog commands as though I was a console user typing in PowerShell. # Create a Remote Session. Note 7: Once again, you probably need the -Credential information; at least Enter-PSSession supports this useful connection parameter. To get the most out of Get-Eventlog even experts turn to the trusty PowerShell techniques of Get-Help and Get-Member. Once you understand the basics, there is huge enjoyment and satisfaction in getting the right script for the right job. Checking with Microsoft's help file will reveal useful parameters. Always remember to define the log with -logfile. I particularly like the -Newest, but for detailed research -before or -After maybe more useful. When you define the output with Format-Table or Out-File, it makes life easier if you can choose just the relevant properties, for example, Source, TimeWritten and Message. The main result is to realize there is a sister command Write-Eventlog, you could also Clear-Eventlog. Remoting is the biggest improvement in PowerShell v 2.0. On this page we have seen the importance of the -ComputerName parameter for interrogating eventlog files. As a bonus we have experimented with listing EventIDs on both local and remote computers.